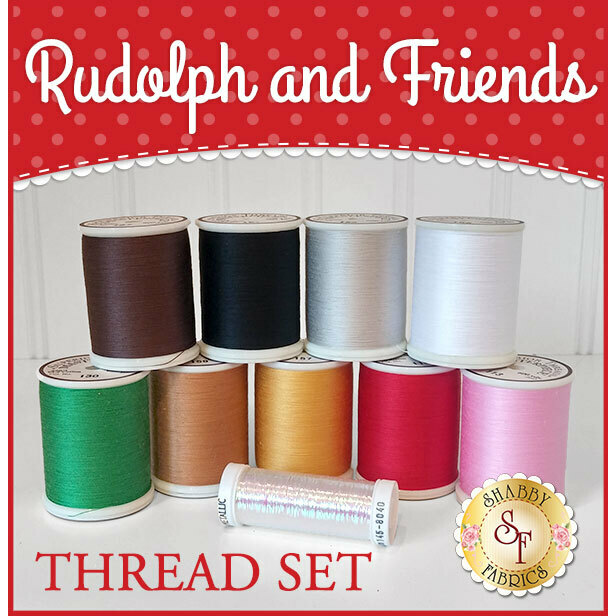 This Thread Set has been put together specifically for the Rudolph & Friends Quilt. Set contains nine 600 yard spools of 50wt 3-ply Masterpiece 100% Extra-Long Staple Egyptian Cotton thread by Superior Threads and one 215d 40wt 250 yard metallized Sulky Sliver Metallic Thread. These threads are intended for machine appliqué!